Weather/Conditions: Cloudy and cool. Slight dusting snow above 3000 feet, but Little Wyvis just damp! Summit clagged in. Low key morning would describe best. 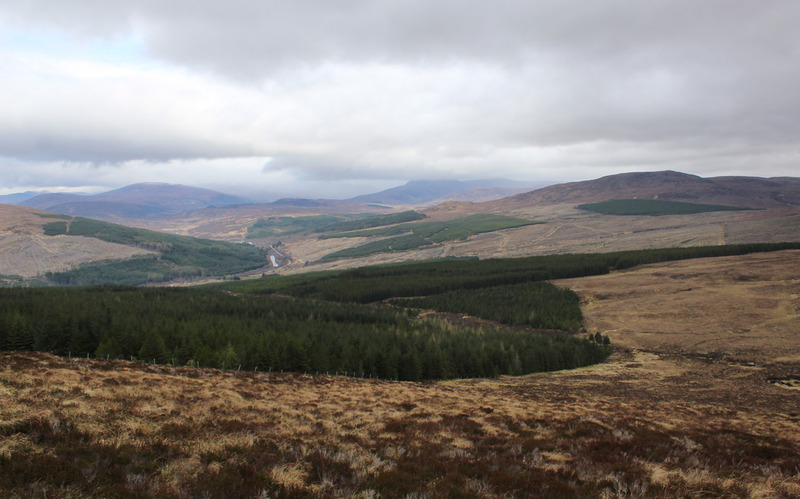 Little Wyvis is very much a subsidiary of the much larger Ben Wyvis. 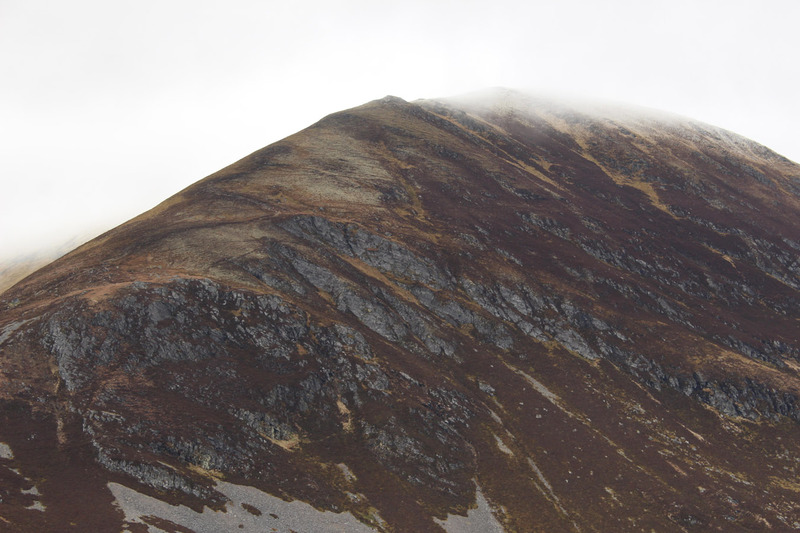 It's a high heel of land striking south, of Corbett height, and though pretty obvious from the path up Ben Wyvis it is also far less often climbed. I tagged it onto my Suilven trip, an obvious hill to go for as I'd be driving right past it. However, the weather wasn't up to much, and I left the car under cloudy skies. 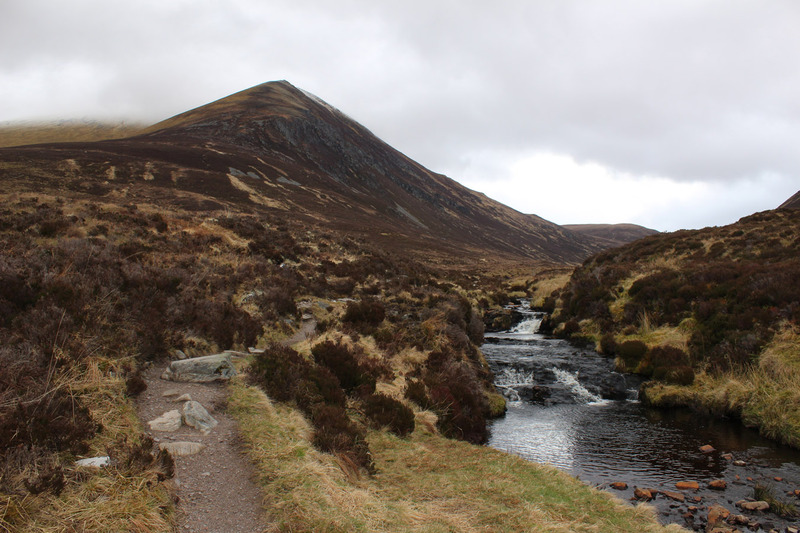 The route follows the Ben Wyvis path for a fair distance, then cuts off up the moor. 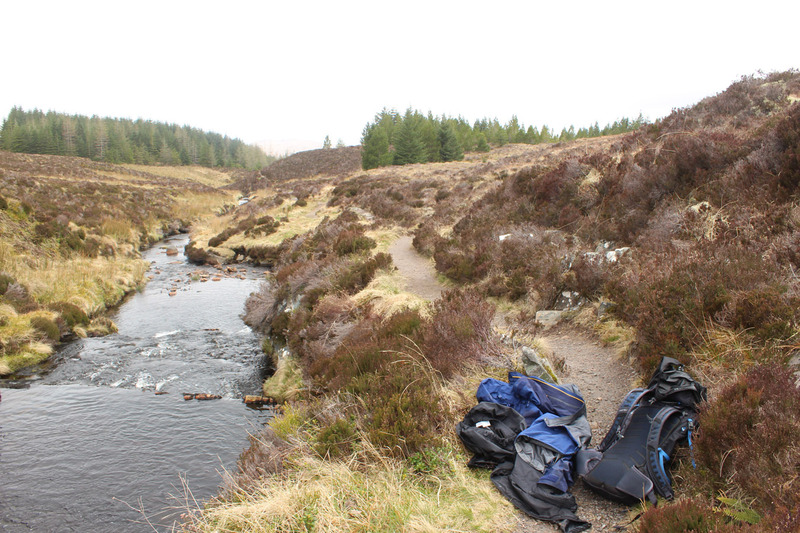 The path had been easy, but I felt pretty whacked on the boggy plod up to Tom na Caillich. 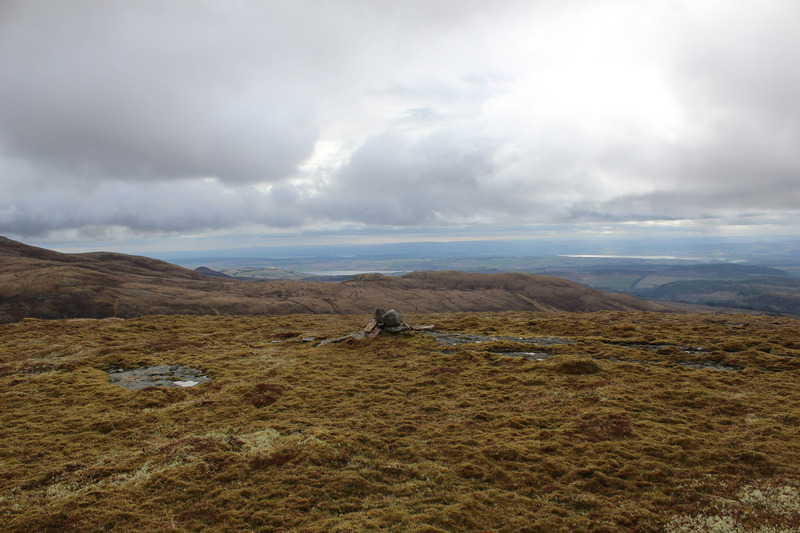 Nonetheless, it relented in time and I had nice views from here out toward Inverness. A strange perspective, I thought: I'm not used to seeing all this topography looking down from the north! 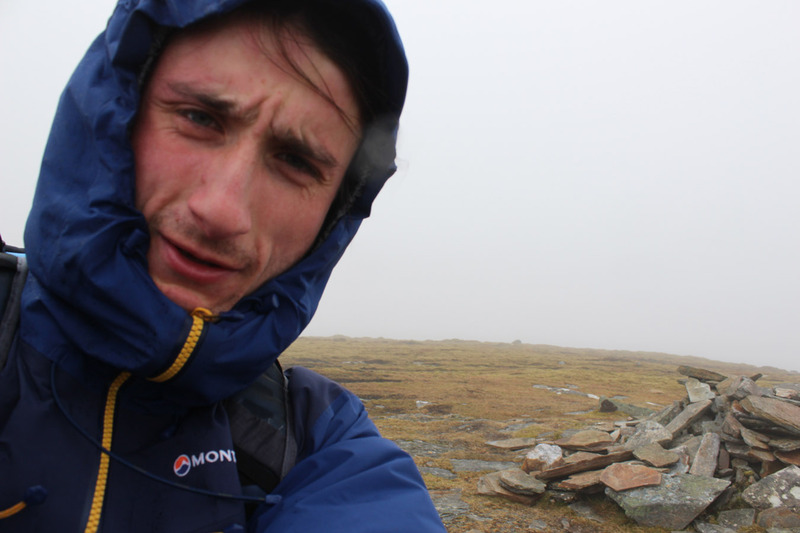 The view was perhaps the most notable part of the day: a squall of rain from the west obliterated the views, and simply made the rise to the top of Little Wyvis a wet plod. It was still quite nice however, and once on top, I retraced my steps along the ridge to drop back down to the Wyvis path.